Smarter assessments that predict employee performance and improve business outcomes. A comprehensive suite of tools to identify top-performing candidates, maximize performance, and generate measurable value. Identify the best candidates & develop top performers. Logi-Serve’s simple employee assessment utilizes job-specific, visualized testing scenarios to measure service and sales skills with unerring accuracy. Keep candidates focused and engaged with a superior user experience. Logi-Serve keeps candidates focused and engaged, eliminating user fatigue that leads to response rut and other data integrity problems. Users describe the candidate experience as enjoyable and easy to use. Our slider bars allow candidates to express themselves more precisely. The improved measurement sensitivity not only enhances the accuracy of the data collected, but also provides the candidate with a more satisfying and engaging assessment experience. The Logi-Serve competency framework predicts and develops sales and service aptitude using decades of case study research on what factors influence critical business outcomes. See how your candidates and incumbents rate on overall ability as well as each individual competency. Rigorous science is a defining feature of our game-changing employee assessment platform. Our predictions are accurate because our approach is based on decades of validated science, not on recent computational fads or hard-to-interpret “black boxes.” Assess with confidence! Present your organization’s workplace accurately with high-fidelity Logi-Serve digital art or your own stock art job environments. Further customize the job environments with detailed branding to push key job or organizational cues to candidates. Logi-Serve’s administration portal and reports are currently available in 25 languages, allowing broad international use. Complete back-end reporting translations allow the Logi-Serve reporting engine to be localized to anywhere in the world. Logi-Serve products adapt to the devices being used, providing candidates with a high fidelity, interactive assessment experience no matter how they access it. Logi-Serve links employee competencies to financial return, allowing you to estimate the financial benefit of improving the quality of your workforce. Using the power of value modeling, Logi-Serve provides simulators and estimators that identify the sources of value and ROI. Logi-Serve predicts job fit, performance and business outcomes using a simplified, easy-to-interpret gold, silver and bronze medal classification system. Numerical scores are available for those who wish to rank order candidates and explore in more detail. Your Logi-Serve digital job instance can reflect a broad array of age, attire and ethnicity, communicating to candidates your dedication to diversity. Digitally rendered people and environments can be further customized to your specifications in a matter of hours or days. Best-in-class assessments for identifying sales and service excellence. Logi-Serve offers the only sales and service assessment that merges rigorous pyschometrics with value-focused financial modeling, driving measurable performance gains. The Logi-Serve assessment is typically completed in 20 minutes, and has a 90% completion rate. The Logi-Serve competency framework was built from the ground up to address sales and service aptitude using 30+ years of case study research on what best predicts critical business outcomes. Logi-Serve evaluates core human competencies proven to predict job fit and job performance in sales and service roles. Candidates are screened on past experience, personality fit, and situational judgment. Communicate your organization’s workplace and culture with customized and branded environments. Accurately reflect your organization’s workplace with customized character artwork or scripted stock art, white-label our tool and create branded job environments that illustrate your unique culture. Logi-Serve predicts job fit, performance and business outcomes, with scores and feedback presented using an easy-to-interpret, globally recognized gold-silver-bronze medal system. Logi-Serve’s advanced scoring methodology allows us to generate a unique scoring benchmark that evaluates candidates based on how likely they are to perform in the job measured by your own KPIs or industry metrics. Logi-Serve’s slider bar response system increases the accuracy and intentionality of candidate response. Candidates view response scales with more options as being more accurate and valid than those offering fewer response options. Fortune 50 companies select and build relationships with Logi-Serve because of our leading-edge science and technology, and our ability to predict employee performance and fit. The Logi-Serve system is laser-focused on predicting sales and service excellence. 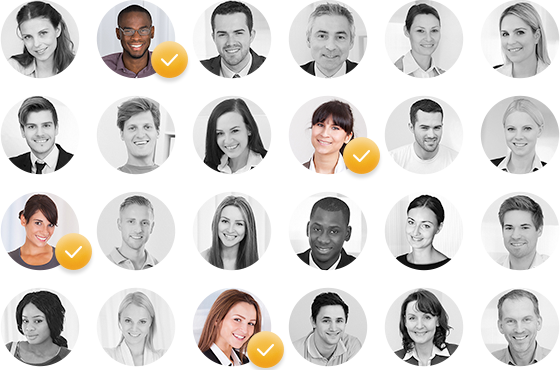 Using our validated assessments, you can identify and hire the best candidates. With labor markets so tight, no business can afford to lose candidates as they move through the application process. The Logi-Serve assessment is easy to take and fully engaging. Our completion rates of over 90 percent drive better hiring and lower recruiting costs. Logi-Serve ties outcomes to financial impact. You’ll not only reap the benefits of improved sales and service, you’ll also be able to quantify these gains and communicate them to others in the organization. Use Logi-Serve to enhance your employer brand in two ways. First, our visual scenarios allow you to promote key job and culture-related information to candidates. Second, organizational cues tie the assessment tool more closely to the content of the actual job, adding realism to the assessment and improving the relevance of responses. The Logi-Serve assessment not only identifies candidates with superior potential, it also provides detailed intelligence on how your hires score in critical competencies that influence service and sales performance. Managers armed with this information can customize onboarding programs to maximize the effectiveness of new hires. The Logi-Serve assessment is ideal for evaluating service and sales competencies in incumbent employees. Using the assessment as an integral part of a professional development program sets the stage for continuous improvement in employees’ sales and service capabilities. 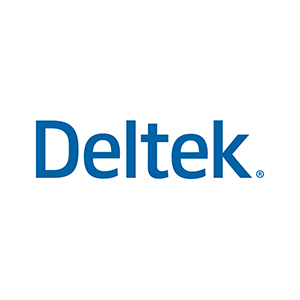 Mary Beth Cockerham Vice President of Sales, Deltek We believe Logi-Serve identifies top sales talent who can perform and live up to our values.